Latex installation is crucial to a properly working call. In addition to the pictures on this page which show what it should look like, there is a tutorial video here. 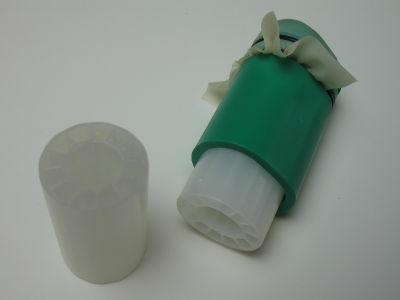 Left - Mouthpiece with properly installed latex. 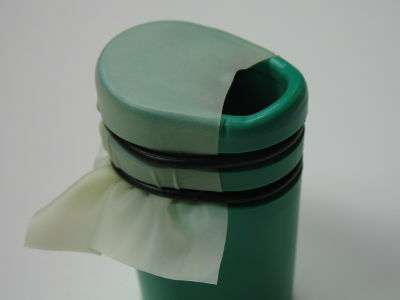 Right - Resister Baffle installed in a mouthpiece. Left - Assembled Herd Talk Set. 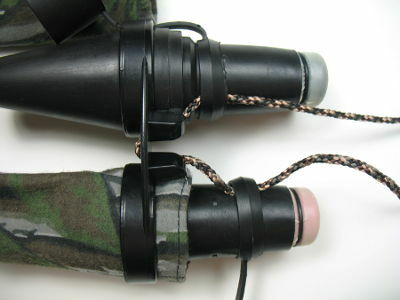 Right - Detail of holder and lanyard. 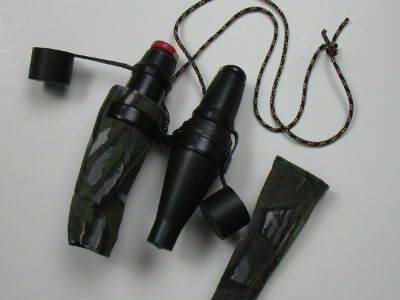 Note how lanyard is strung through Double Cow Call Holder and Cap ring to allow the calls to hang upright and prevent loss of calls. Contact Abe by clicking here.